I was t hrilled when the new Day Of The Dead stamp set was introduced at The Grand Event in Pomona last weekend. Here’s a photo of the actual set and as you can see we now offer indexed stamps. This stamp set is perfect for my upcoming ATC trades and cards in a Halloween or Spooky theme. I am part of a group where we pick a new ATC every 15 days and the latest theme was Red, Orange and Yellow. So I decided I would use the sugar skulls in my new stamp set to fit the theme. I got to stamping and this is what I came up with. 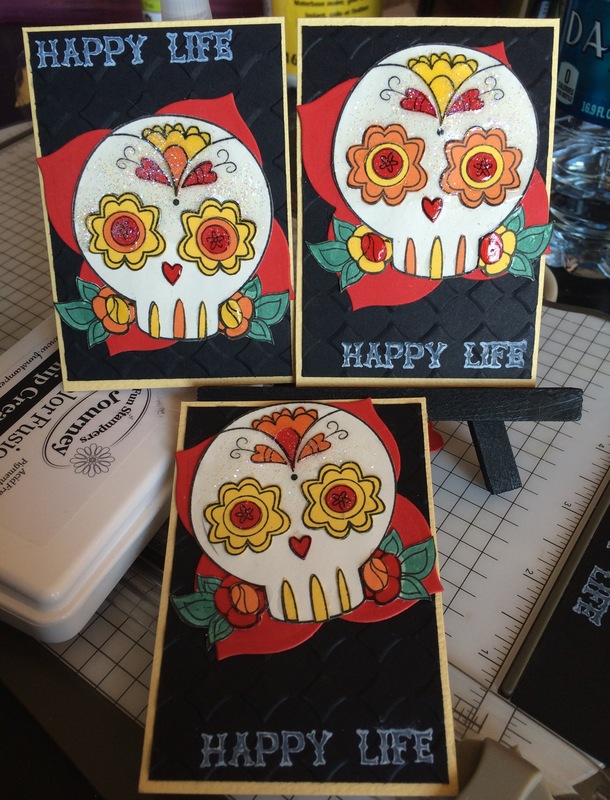 First I stamped out the sugar skulls on various cardstock. Second I fussy cut out the skulls so that I could have various layers. Once I layered appropriately I used Journey Glaze and Glitter to finish them off. I decided to cut out a background layered shape using my Spellbinders dies. I also used a Spellbinders Embossabilities folder to get dimension in the black mat layer. Here is the final product. Hope you all like them and if you have any questions, feel free to comment below. Have your heard of Fun Stampers Journey? It is a new stamping company that I am a part of and I would love to have you on my team. We sell beautiful stamps and many have coordinating dies made by Spellbinders. 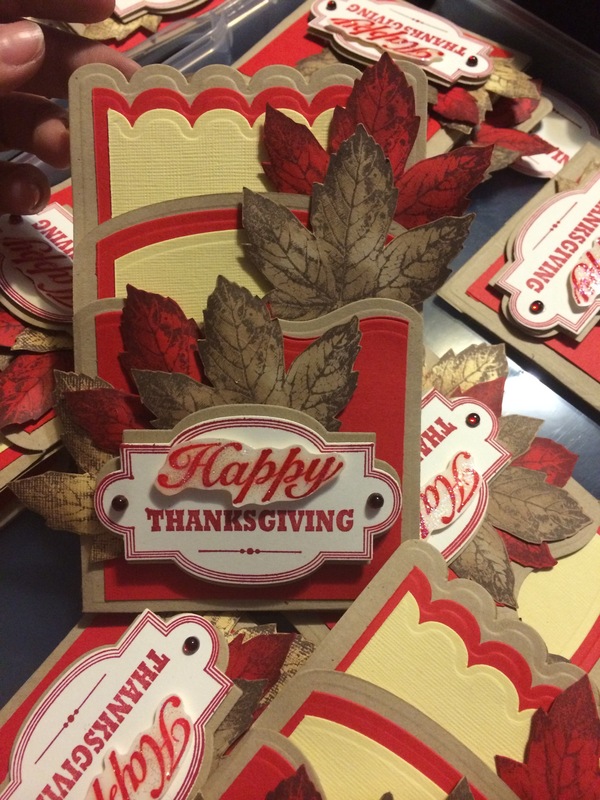 http://www.funstampersjourney.com/alexThis past weekend I made 16 Thanksgiving pocket cards to trade with my fellow Journey Coaches. In making my card I wanted to stay away from orange and browns since I figured others would choose those colors. It was a challenge to stay away from those colors. I decided to pick something that reminded me of fall, cinnamon and cranberry sauce. Products used: Candy Apple cardstock and ink, Oatmeal Cookie cardstock and ink, Autumn Days stamp set, Give Thanks stamp set, Thxgiving die, Journey Glaze and glitter.